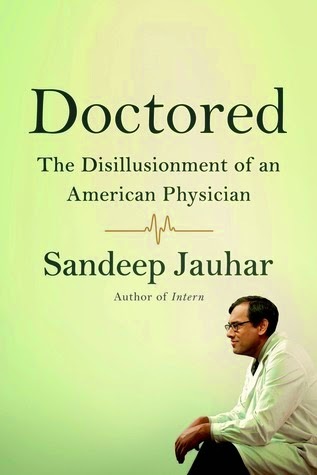 Doctored is the shocking follow-up to Intern, Sandeep Jauhar’s widely praised chronicle of the harsh realities of a hospital residency. Now the director of the Heart Failure Program at a Long Island hospital, Jauhar uses his own story as a scalpel to lay open the American health-care system. The patient is ill indeed. A perverse system forces doctors to prescribe unnecessary tests and participate in an elaborate system of cronyism just to cover costs and protect themselves from malpractice suits. Jauhar reports cases where a single patient might see fifteen specialists in one hospital stay, fail to receive a full picture of his actual condition, and leave with a bill for hundreds of thousands of dollars. Jauhar himself wrestles with his conscience as, struggling to make ends meet, he moonlights for a practitioner who charges exorbitant fees for tests of questionable value. Doctored is a cry for reform; a fascinating look at what really goes on in examining rooms, ORs, and your own doctor’s mind; and, most of all, a deeply personal and unsparing act of introspection by a physician who wants to return meaning and moral grounding to a noble profession that has lost its way. It is certain to kick off controversy and heated debate at a time when the dysfunctionalities of our health-care system remain at the top of the nation’s agenda. Publishing August 26, 2014 by Farrar, Straus and Giroux.